Whenever you enter wrong username or password in the WordPress login form, you see the login box shakes. From this tutorial you’ll learn how to remove login shake effect. To remove login box shake effect you need to navigate to wp-content/themes/theme_name/includes. To do it connect to your server with FTP client or your standard hosting server cPanel file manager. Locate custom-functions.php file and open it. 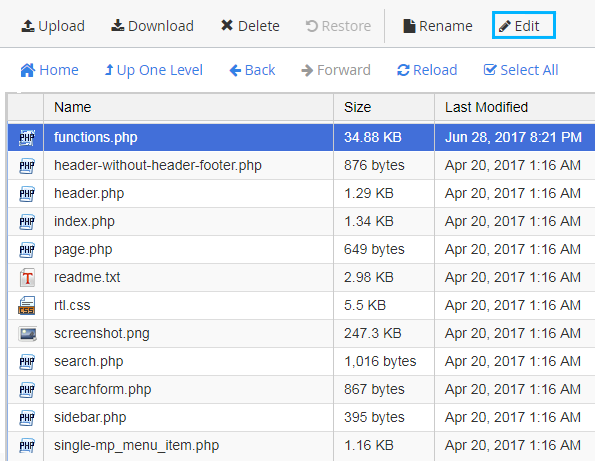 If you’re using a theme under GPL v.3 license, then locate your theme folder and open functions.php file. You need to add these lines of code to the end of the file. Save the applied changes and return to WordPress Dashboard (Administration panel) to log in. The login shake effect won’t show up again. Accidentally Changed the WordPress Site Address?